The Products: Lots of cat items, mostly toys, including some exclusive and/or new items. Good to know: Although PayPal checkout shows as an option for this subscription, you can’t actually pay for the subscription with PayPal. I checked out that way the first time and they contacted me, processed a PayPal refund, and I had to resubscribe with a credit card number. 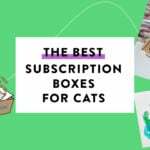 Check out all of our Cat Claws Club reviews and other great cat subscriptions in the Pet Subscription Box Directory! Included was a brochure with more information about the products, along with a note from Cat Claws. My cats are not usually super fond of refillable toys, but Monkey, Angus, and Mr. Kitty all showed interest in this. Especially Angus. Kitty Crinkle Ball – Value $2.29? This has some mylar (?) bits to add textural interest. Angus had the most fun with this early on, but I suspect I will find Mr. Kitty chewing on it in a few days. (He does that with mylar toys.) I’m not sure this is the right toy, but it is very similar. Small toys with feathers are always a win around here. Pretty much everyone likes feathers. Small Whale Scratcher – Value $21.95? This was the most popular item in the box. Everyone loved it. Do note, these don’t have any kind of paper or lining on the bottom, so you’ll probably get catnip everywhere (this came with a little packet of catnip). This wasn’t on the Cat Claws site so I based the value on a very similar item. Just so you know, Angus claimed all of the toys from the box. Lots and lots of action shots here, where parts of his body are blurred out because he was moving so fast. Madison didn’t want to come out from under the bed, so I lured him with treats until I could grab him, then I took him into the master bathroom for some photos. So you could actually see his face in the light for once! Monkey sniffed the toys but he LOVED the scratcher. Most of my photos (not shown) are of him rubbing his chin on it. Sneaky was in a bad mood. I think because I had just fed Mr. Kitty but I didn’t give her any food (I want him to gain weight, whereas she’s on a diet). She did show some interest in the scratcher. Mr. Kitty was willing to sniff whatever I put up to his face. He spent some time checking out the scratcher, as well. Verdict: I calculated a value of about $34, give or take, for the June Cat Claws Club. That is pretty close to the cost of the box plus shipping. The big ticket item (the scratcher) was a huge hit with my older cats, and the toys were all claimed by Angus pretty much, but everyone got something out of it (and Angus likes the box it came in, too…), so this was a good month for us. What did you think of the June 2017 Cat Claws Club? 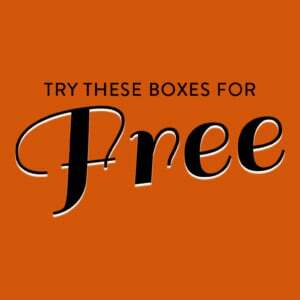 Do you subscribe to any cat boxes? How do subscribers rate Cat Claws Club Box? Do you subscribe to Cat Claws Club Box? Add your rating now! I don’t have a cat but I always always look at the Cat Claws review for the kitty shots! I never understood what you meant when you said on here that it was difficult to photograph Madison. Then we adopted an all black cat a few months ago. Now I totally get it. The lightening has to be just right to get a good shot. Madison always wants to hide under the bed, which makes it worse.